Besides the epic Hillary Clinton / Fax Machine showdown, the gefilte fish email Clinton sent to two of her staffers back in 2010 stands out as the most baffling message in her entire trove of released private emails. Titled "Gefilte fish" — which refers to a traditional Jewish appetizer — Clinton merely wrote, "Where are we on this?" It was a source of confusion when the second batch of emails was released earlier this month. On Tuesday, days before her Ellen DeGeneres Show appearance, which airs Thursday, Clinton poked fun at herself, Tweeting at Ellen: ". @TheEllenShow but seriously, where are we on gefilte fish?" Clinton was referring to an earlier exchange of Tweets between herself and DeGeneres. First, Clinton Tweeted: "See you at 30 Rock this afternoon. Pantsuit up!" and DeGeneres replied with, "We tweet. We text. We never email. Funny," in a tongue-in-cheek reference to Emailgate. (Later on Tuesday, a clip was released of Clinton with ABC's David Muir, in which she formally apologizes for using the wrong email server during her time as Secretary of State.) Clinton's "gefilte fish" reference was a response to DeGeneres' remarks on Emailgate, intended to reveal that Clinton has a sense of humor about how she's been perceived in the wake of the State Department information releases. It's not as unexpectedly down-to-earth a moment for Clinton as you might think. In a New York Times exclusive Monday morning, the paper revealed that Clinton's aides said that her campaign would be more spontaneous, less closed-off, and (crucially) more accessible than it has been thus far. No more shutting off reporters or ignoring questions about Emailgate, they promised. 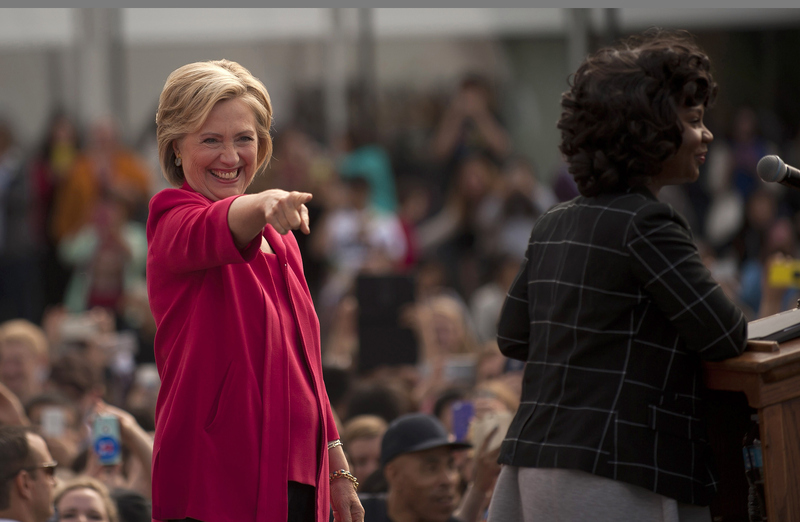 Instead, in a media blitz as the campaign enters the fall period, Clinton will make numerous appearances that reveal the more personable side that her campaign feels it has been missing so far. As for gefilte fish? Well, after an initial period of puzzlement, Tablet's Yair Rosenberg revealed that the food had nearly become the center of an international incident when Clinton was secretary of state, hence her checking-in email on the status of the incident. The appetizer is often eaten at Passover. At the time of the email, a huge amount of carp (which is poached for the dish) was not able to get into Israel, and diplomats in the country were up in arms. Amid all the day-to-day emails in Clinton's server, this one is by far the best, as both Clinton and DeGeneres well know. For bonus points, the next time you're bored on a Monday morning, insert a little-known appetizer at random as a subject line in an email to your coworker, and write underneath, "Where are we on this?"